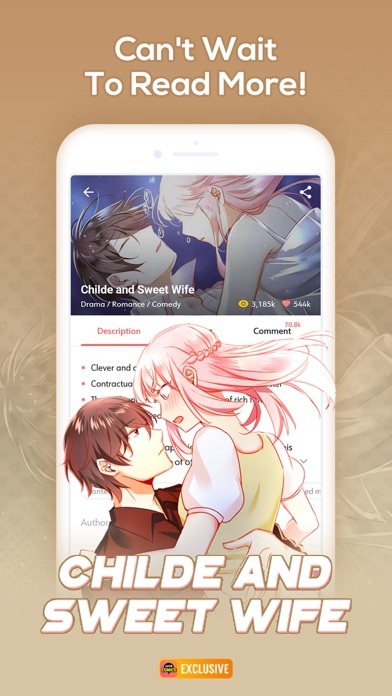 WebComics app is one of the most popular comic-reading platforms for American youths! Lots of exclusive legitimate comics are only here. Creators are creating captivating comics every day from everywhere for each of you. Don't hesitate to join us! 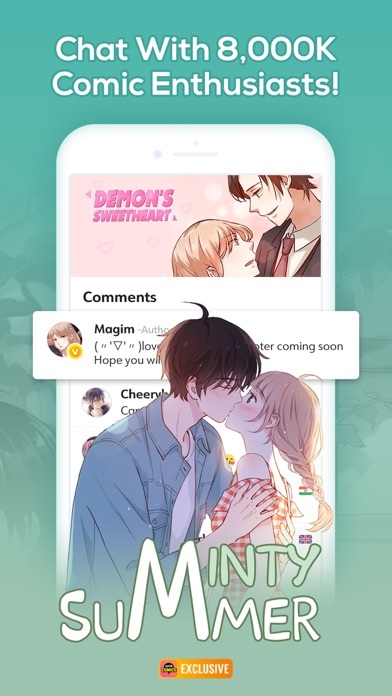 Read comics and chat with 8000k comic enthusiasts! 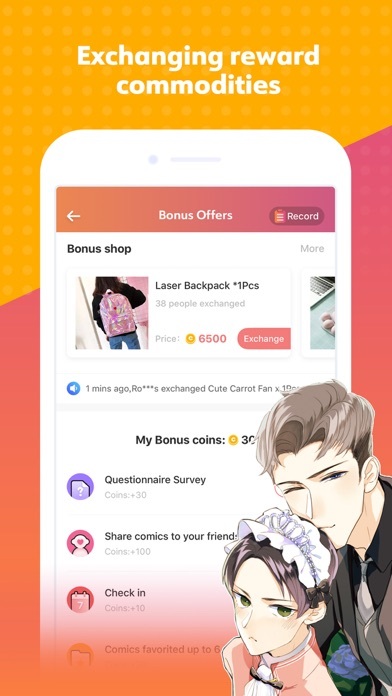 【Unique highlights of WebComics】 ● Signed sole contract with many world-renowned creators from America, Europe, Asia, etc, to provide you with exclusive captivating comics! ● With high definition and full color! With excellent panels, ups and downs of the plots! We promise, you can't help reading them! ● Share your opinions anytime and discuss the stories with millions of readers! Moreover, communicating intimately with your favorite creators is not a dream! ● The fastest update speed! 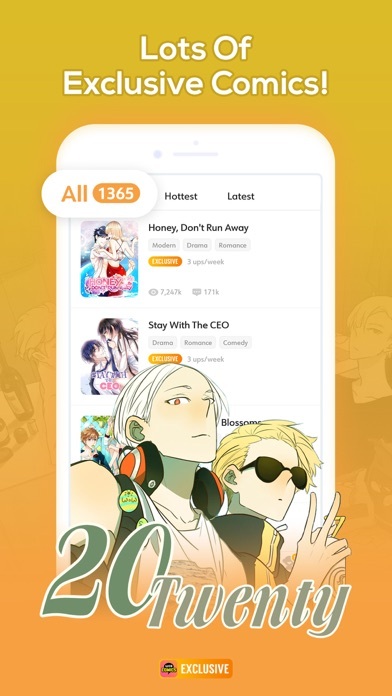 More than 1,000 new chapters are released daily! 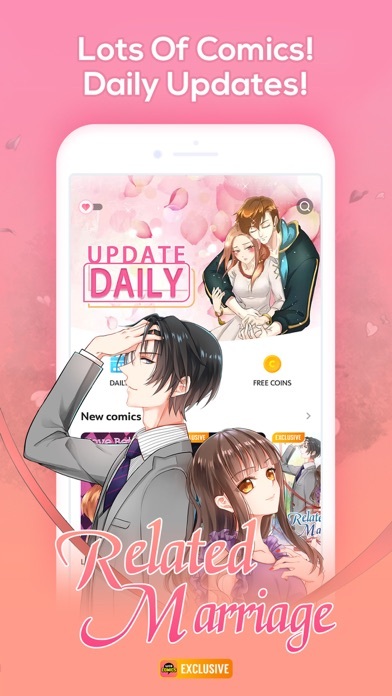 【Hot comics recommended in 2019】 ●「Honey, Don't Run Away」 #Romance ：He is an overwhelming CEO and she is a mother of a four-year-old. They were in love, but she left without saying goodbye. Now they meet again and work in the same company. How will their story go... ●「First Crush」 #Romance ：Because of a song, two completely different fates overlapped. But for some reasons, the invisible line of destiny between them became so fragile... ●「Related Marriage」 #Modern： She makes a deal with her adoptive mother: if she agrees to an arranged marriage, she can keep the orphanage safe. In order to save the orphanage, she sacrifices herself, but little did she know the identity of her fiancé. ●「20 Twenty」 #BL ：When I was 20, I drew a picture of you. That was how our story began. ●「Lily」 #GL： "The most beautiful thing in the world is that I meet the best of you in the best of time." 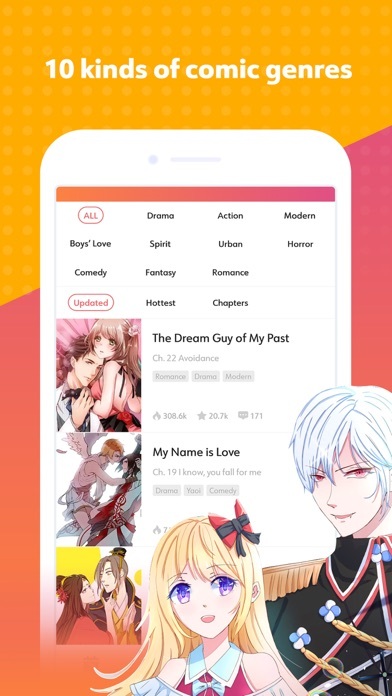 A girl's love comic that really makes your heart beat! ●「Zombie Breakers」 #Horror ：When you woke up from a sweet dream, you found out that everyone turned into zombies. There was no cop, and there was no savior. What would you do? ●「Battle Through The Heavens」 #Action ： Xiao Yan was a talent who broke training record of his family, but life didn't go as what he expected. He almost lost everything, even his power. With the help of Yao Lao and Xiao Xun-er, together, they vanquished strong enemies. Get to know the latest comics and interact with your favorite creators. *Follow us Facebook: https://www.facebook.com/WebComicsOfficial Twitter: https://www.twitter.com/Webcomics_app Instagram: https://www.instagram.com/webcomics_official Youtube: https://www.youtube.com/channel/UCOkHM_tytT8t9vw6pKhM2oQ If you are a comic creator or you want to be a comic creator, please let us know. Email:ivoryren@webcomicsapp.com Customer Service Email: webcomcis@sidewalkgroup.com WebComics! One of the best comic platforms. 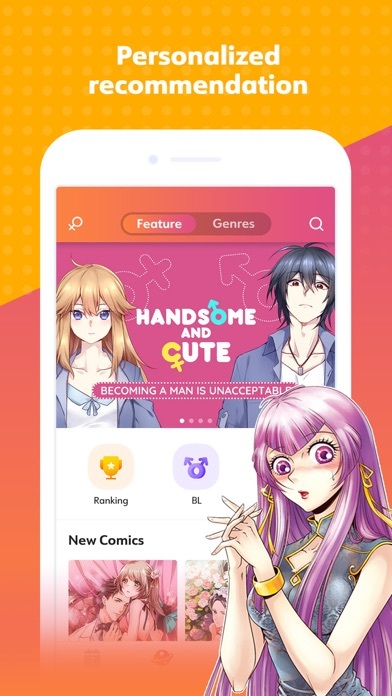 I like the app a lot, my only issue that it’s only an app and not on an online platform like Webnovel, Tapas, Tappytoon, etc. I usually read through my laptop as it’s easier to multitask at the same time and it’s better for my eyes as I am a avid reader. Please open a online platform soon. tbh the coins are vERY FRUSTRATING. Thank you for your time. I love this app so much to the point this should me my only app!!! I’ve been reading the comics constantly non-stop, but one this I wish they can change is that not having much coins to read your fav comics. But otherwise the awesome!!!! I LOVE this app I’m reading it 24/7 literally I haven’t slept past couple days cause I’m so addicted. I LOVE all of the comics. You have brought back my imagination and Thank You. For that. You all are my favorite!!!! :) 😍🥰🥰😍😇🤓🤔😈😍🥰😍🥰😈😈🥳😍🥰!!!!!!!!!!!!! 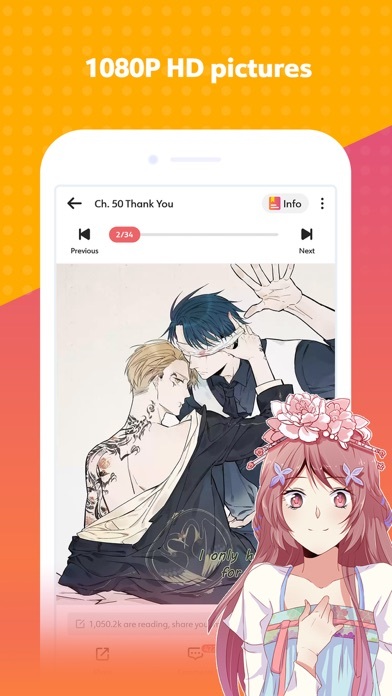 I absolutely love this app, and have no problem with the coin payment for some of the stories. 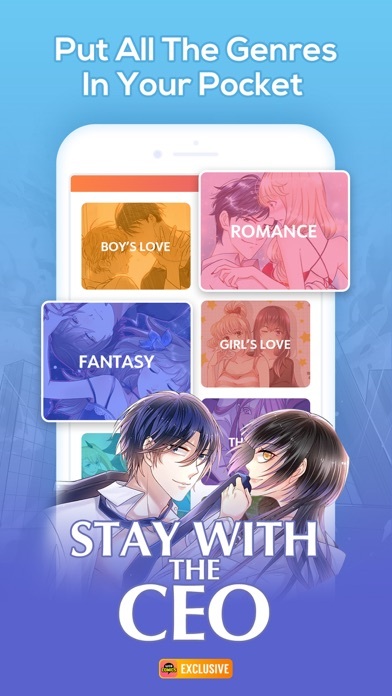 But my problem is that recently when I go into the app, it will shut down after just a few minutes of being open and not save my place in the story or anything else. I’m not sure how to fix this but it’s really starting to ruin my experience on the app when every time I go into it I’m kicked out.